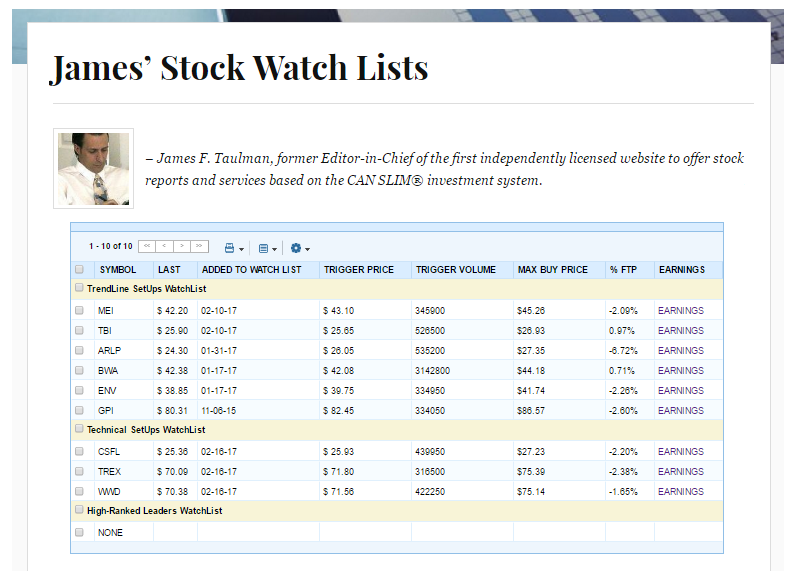 Before each market open, I email out my continually updated watch list of hand-selected, high-ranked stocks – each with specific buying criteria. Below is an update on the last 5 breakouts from that list. This was a low-volume breakout notably just before the Labor Day holiday weekend. Shares did get a boost on the follow trading session, being Tuesday, as they shot to new highs with a +30% increase in turnover. This was some solid follow-through action, however, the stock did abruptly sell off the very next day (9/5) with the highest volume in the past month. This was obviously a technical concern as it should be anytime a fresh breakout falls so hard back into its base. Shares did hold above support of the round-$60 and well above the 50-day moving average (2nd SUPPORT). Since, the stock had been inching higher, yet with a lack of real conviction as daily volume totals are unimpressive. Friday’s gains of +1.8% with a +86% increase in volume are very encouraging with shares closing at a new all-time high.